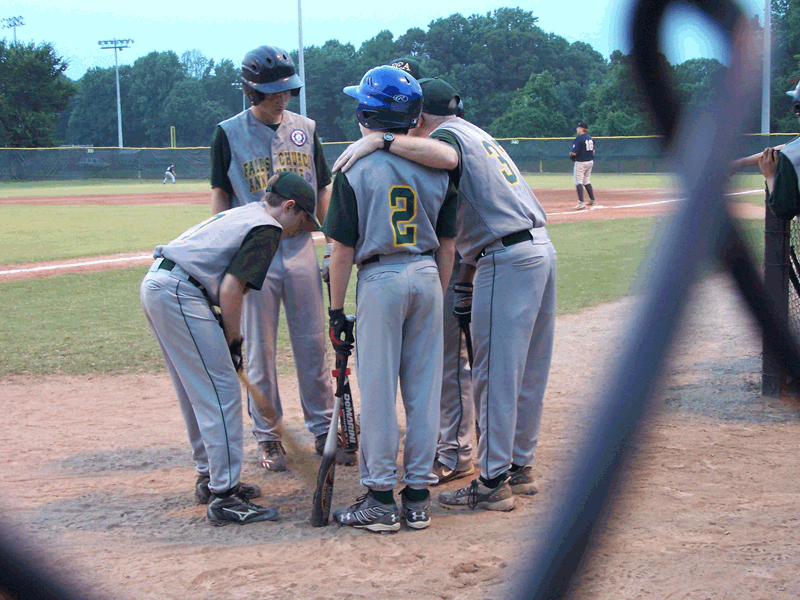 Following last week’s 7-0 win versus Dinwiddie at Langley High School, the 13U Falls Church-Annandale (FC-A) team’s three-game winning streak in Virginia’s Babe Ruth Tournament came to a halting stop on Sunday, July 20 against McLean-Great Falls. Unfortunately, the FC-A “Green Machine” wasn’t able to stay ahead for long. Losing 11-0 to MGF, FC-A moved on to the loser’s bracket on Monday versus Williamsburg. They would have had to take that win and sweep Tuesday’s doubleheader to snag the title, but instead, were defeated 4-3 as Williamsburg went on to face MGF on Tuesday. “Overall, [FC-A] was 3-2 at States – the first winning record for an FC-A Prep team at the state level in 10 years. We’re extremely pleased with the way in which our boys overcame adversity, facing the likes of Mclean-Great Falls and Williamsburg, both of whom consist entirely of travel baseball players who only play the minimal number of regular season games to be eligible to compete in the tournament,” said Todd. Todd vouches that the team couldn’t have gotten as far as they did without their strong parental support. Fully equipped with what he calls the “loudest bleachers” and “nosiest dugouts,” he said the team moms and dads were the biggest advantage going into the state tournament. “Without the parents’ vocal support and assistance at practices – bringing food and drinks for the players and excellent scorekeeping – we couldn’t [have gotten] it done,” says Todd. As far as the “Green Machine,” Todd said the opponent-menacing nickname doesn’t address one single player, but all 15 who played solid defense compared to what he called the usual 12 individual “stars” that other team rosters play the entire season.